Somnath D. Mansal at his jowar farm in Jamkhed, Maharashtra. London is excited by bajra , jowar and nachni millets. In fact, Indians here coming to my restaurant ask for it, but Indians at home don’t seem to value it," says Vineet Bhatia, the Michelin-star chef of London’s Rasoi and Juhu’s Azok, who experiments with plates of red nachni pasta, and roundels of jowar roti layered with succulent paneer or tandoori chicken, chutneys and sauces. On his culinary travels across India this year, Bhatia found that millets are almost invisible in regional diets, except in states such as Himachal Pradesh (ragi), Rajasthan (jowar) and Karnataka (ragi). “The irony is, in India, where eaten, now it is either out of necessity—it being the only thing that grows in that area—or as a fad, in urban areas. There is very little awareness of its nutritional value, which is a big draw for diners here (in London)," says Bhatia. 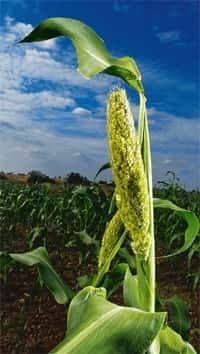 A varied cereal crop that grows grass-like in arid and semi-arid regions, millets are categorized by their high-protein, non-glutenous and low-calorie content and immense nutritional value (see The millet magic, Page 12). The crop is making a quiet comeback, and will hopefully become part of the public distribution system (PDS) when the National Food Security Bill, being addressed byParliament’s current winter session, comes to pass. It will be a moment that ties together decades of activism from agriculturalists across the country. On 16 and 17 October, millet farmers gathered at the University of Agricultural Sciences, Dharwad, Karnataka, under the aegis of the National Convention of Millet Farmers to declare millets the “Food Sovereignty crop." They demanded a water conservation bonus as “millet farmers grow their crop without irrigation". The Millet Network of India (MNI), headquartered in Hyderabad, Andhra Pradesh, has had a history of pleading to get millets into the PDS, fighting for bonuses and subsidies for its farmers, and providing greater impetus for its consumption. Activist Vandana Shiva says going back to millet farming means that “farmers can have their own seeds, and will no longer need to purchase costly seeds from global organizations, which is the prime cause of over 250,000 farmer suicides in the past decade and a half". From including millets as a foodgrain, to subsidizing pricing of Rs3-2-1 (of rice-wheat-millets), the government is now doing its bit to boost their consumption. It is a necessity. According to International Diabetes Federation statistics presented at the United Nations High Level Summit on Non-Communicable Diseases (September, New York), India is second in the list of nations afflicted, with 50.8 million people suffering from diabetes (China is first with 92.4 million). The Union health ministry’s annual report 2010-11 states “the overall prevalence of diabetes is 62.47 per 1,000 population of India". Millets, which are not as soft as wheat in roti form or as palatable, or even as attractive in colour, sneak into menus here and there: At Mumbai’s Indigo restaurant, proprietor chef Rahul Akerkar serves a millet porridge with lamb, though he says the grain has not yet entered his diners’ consciousness. At Aurus in Juhu, Mumbai, chef Vicky Ratnani says his bajra-jowar bread is always the first to disappear from the breadbasket. Millet is daily dining for art consultant Nisha and her husband “Jammy" Jamvwal, who keep a wheat-free, rice-free kitchen at their Cuffe Parade, Mumbai, home. “The dough can be tough to work with initially, so cooks want to add wheat to it to make it pliable. But it’s great once you get used to it," Jamvwal says. Actor Dino Morea has had a six-pack since college. It is an active lifestyle that comes from consciously balancing his grain, he says. “My chef whips up a bajra, jowar or nachni roti maybe twice a week. It’s important to balance what you eat." Fitness expert Nawaz Modi Singhania has a family history of cancer going back three generations. As her father’s primary caretaker, Singhania says she has made the switch to millets in her daily diet a permanent preventive measure. “Starch is a no-no for cancer patients, so if you want the nutrition from a carbohydrate without the starch of it, millets are the answer. You not only lose a lot of weight, but the nutrition benefits make it a very healthy option." 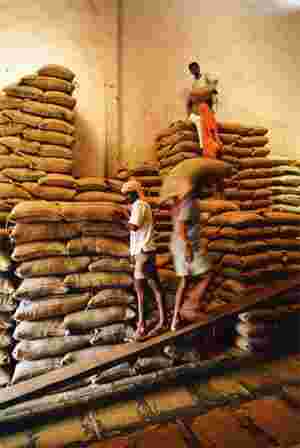 Sacks of millets come into the APMC market in Navi Mumbai from across the country. Millets suffer by being unable to adapt in urban environments; they need to be cooked and consumed fresh and quickly turn leathery when cold. In cities, where packed lunches and pre-prepared food, or food with minimum preparation time, determines dietary choices,millets lose out. Companies now offer quick-fix ways to consume millets—ragi biscuits, bajra chips, multigrain atta—to make up for it. Anuradha Narasimhan, category director (health and wellness), Britannia Industries, says they got into multigrain biscuits like NutriChoice Ragi Cookies, 5 Grain biscuits and Thins and a diabetic-friendly line anticipating demand that wasn’t there. The aim is to make adult snacking healthier. “We watched women go to chakkis and add what we call roughage (fibre) to ground flour. In Ragi Cookies, we ensure whole grain is used. The newly introduced Roasty preserves nutrition value of whole- grain bajra, and other grains, by using it in whole form. We don’t refine. 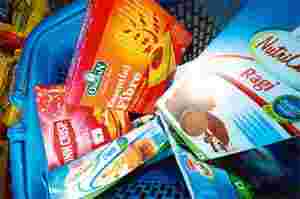 While the biscuit market is growing at 20%, the NutriChoice growth is twice that." Nutritionist Rujuta Diwekar slams this trend: “You see an eight-year-old with type 2 diabetes or blood pressure or a 12-year-old on contraceptives for hormonal imbalance. Urban India eats whatever can be cooked without spending time. Millets take time to be cooked, and are traditionally eaten with milk or chana dal to make up for the limiting amino acids (amino acids without a complete amino acid profile are required to be eaten in combinations)," Diwekar says. “Nourishment from millets does not reach cells without adequate backup from other nutrients. The processes which turn millets into chips, biscuits and breads rob them of nutrients." Despite the short cuts, the consumption of millets is barely scratching the surface. Early in the morning at the Agricultural Produce Market Committee, or APMC market (II), at Danabunder in Navi Mumbai, the trucks are still pulling in for the day, and the pigeons flock to feed. Grains come here in quintals from across the farming belts of the country. Traders, a majority of them native to Kutch in Gujarat, purchase the grains and sell them at wholesale rates to the kirana retail shops across Mumbai, Navi Mumbai, Thane, Kalyan and their surroundings, which retail them to households. 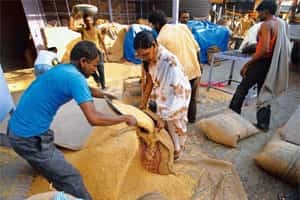 Pratap Salvi, assistant secretary at the Krushi Utpana Bazaar Samiti office at APMC (II), pulls out his books: 14,650 quintals of wheat was sold to Mumbai on a single day in November; 23,060 quintals of rice; 698 quintals of bajra and 1,910 quintals of jowar. For nachni (ragi), he cannot find a quantifiable figure for the day, so Salvi has to search and pull out a figure for the day before. “160", he grunts, as if to say, “Who eats that?" Arvindbhai has been a trader at stall E-27 for 33 years, yet he cannot recall which warehouse rows still sell solely millets. The trade is now rice and wheat. In that period, he has witnessed what he calls the Punjabi-fication of Mumbai’s food habits. “A few Maharashtrians still eat jowar, Gujaratis eat bajra, but mostly now, people eat wheat," he says. Those who do eat millets prefer pre-packaged flour, he says, pointing to the new addition to the market—“the package wallah", who sits with pre-packed flour—and will order it for you from farmers wholesale—in the corner. In the 1970s, M.S. Swaminathan, the architect of the Green Revolution, used genetic innovations and schemes to save the nation from widespread hunger. The subsequent Rs2 paddy scheme and subsidies given to the farming of paddy and wheat in the name of national food security changed India’s eating and farming habits irrevocably. Today, policy and agricultural experts blame that single act for wiping out 85% of India’s millet farming. It’s a subject Shiva has also discussed at length in her books The Violence of the Green Revolution, based on a study undertaken for the United Nations in the 1980s, and Bhoole Bisre Anaj, which labelled the forgotten grains—mandua, jhangora, bajra and jowar—for the first time, popularizing them through organic cafés. Shiva says: “The Green Revolution pushed rice and wheat monocultures at the cost of millets, pulses and oilseeds. The government treats these nutritious grains as inferior grains and does not even have them in the public distribution system." Millets being cleaned at a distribution unit in Jamkhed, Maharashtra. Swaminathan explains that the farming of millets and paddy was always meant to be independent of each other, though the move was admittedly focused only on well-irrigated areas. The intention was not to affect millet crops. 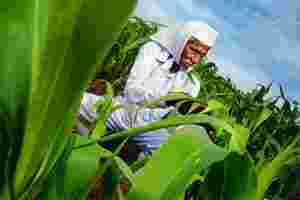 He says: “The Green Revolution, which means growing crops with good soil, moisture and nutrient content, is valid only for irrigated areas. Millets are grown in dry farming areas. Hence, there is no agro-ecological conflict." The current revisions in the food security Bill are a result of a consensus in recent years on the need for a programme that includes the marginalized, yet more plentiful, arid zones of India, and a more long-term solution for still-starving millions. Biraj Patnaik, principal adviser to the Supreme Court commissioners on the right to food, explains: “The challenge before us is to ensure millets get reintroduced as a habit for millions. Promotion of rice and wheat over three decades as part of the Green Revolution package has led to aspirational changes in large sections of the middle class who have a preference of rice and wheat over millets." Growing years: A millet in an early stage of cultivation at a farm in Jamkhed, Maharashtra. Today, dependent on the huge amounts of water required to grow paddy (5,000 litres of water is required to grow 1kg of rice), farmers have driven themselves into debt and struggle with constantly changing weather. Kumar emerges from fields every few weeks to push millets in an urban setting: he is designing a millet menu for the restaurant Mane in Mysore, which will be functional from January. “When farmers grew millets, forget the money made by selling the crop, there was always food in the house. That is true national food security," he says. If millets can grow anywhere, from the deserts of Rajasthan to the Himalayas, and are the cheapest grain around, why would farmers put themselves to so much trouble to grow rice and consumers resist eating it? Socially, millets were the food of the so-called lower classes. “The decision makers at the time were the affluent, who completely ignored the fact that millet, not paddy, was the rice of the middle-class Indian," says Kumar. When millets come to villages as part of the ready-to-eat (RTE) powder—a nutritious grain-based mix—distributed as part of the government’s Integrated Child Development Services (ICDS) programme, it is often fed to cattle. New Delhi-based Dalit thinker Chandra Bhan Prasad objects to the millet revolution on these very caste grounds. “In our homes, we will not let guests in the hall know we are cooking millets in the kitchen. 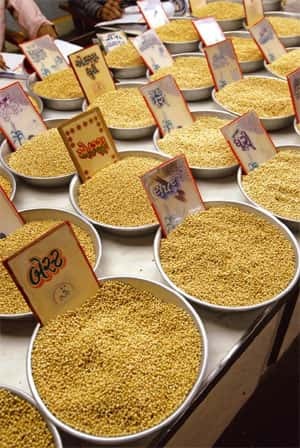 Millets were known across India, as recently as 20 years ago in areas like Uttar Pradesh, as the food of the outcastes. Landlords would grow millets on that part of their land which was not irrigated. It was used as either cattle feed or as wages for the Dalits." Ironically then, its fate lies in the hands of urban India. Every time Men’s Health magazine puts six-pack abs on its cover and reports that actor Aamir Khan bulks up for a film by eating six small meals a day, with rotis of bajra, jowar and ragi; or when a tabloid lists how exactly actor Kareena Kapoor achieved size zero, the millet inches towards becoming the aspirational grain.